In this week's episode of the Hockey Night in Canada podcast, Rob Pizzo is joined by Stanley Cup champion Glenn Healy as they look back at the highs and lows of the first half of the NHL season. With the halfway point of the NHL season upon us, it's time to take a look at the highs and lows of the 2018-19 season. Who better to break down what has transpired than Stanley Cup champion Glenn Healy. 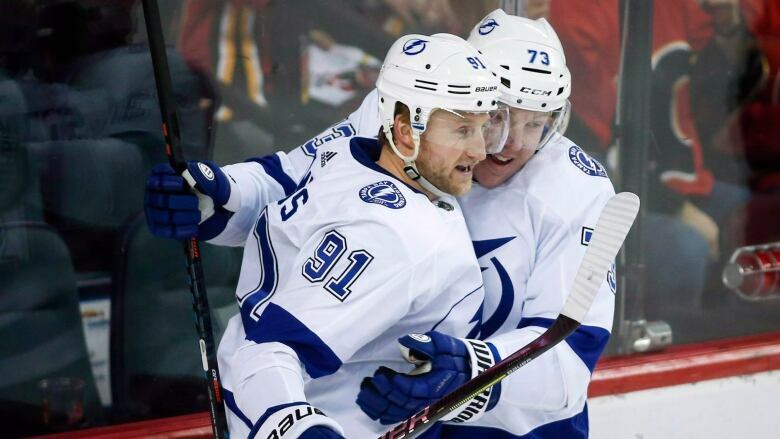 Pizzo and Healy discuss a myriad of topics, including goal scoring, Alexander Ovechkin and the favourites to win the Stanley Cup — the Tampa Bay Lightning. One of the biggest surprises so far has been the Buffalo Sabres. They've gone from being the worst team in the league to a potential playoff wild-card team. Ice Level reporter Sophia Jurksztowicz caught up with Sabres head coach Phil Housley to find out what's making the difference this season in Buffalo. The NHL recently confirmed that when the 2021-22 season begins, there will be 32 teams in the league. We take a closer look at Seattle's expansion bid, the history of expansion, as well as the future of expansion. The axe has fallen on four coaches and one general manager so far this season, but we sometimes forget that coaches are human and have families. Former NHL coach Barry Melrose breaks down what life is like for coaches after they're fired. Goalies, why are they so different? Should goalie gear be one size fits all?